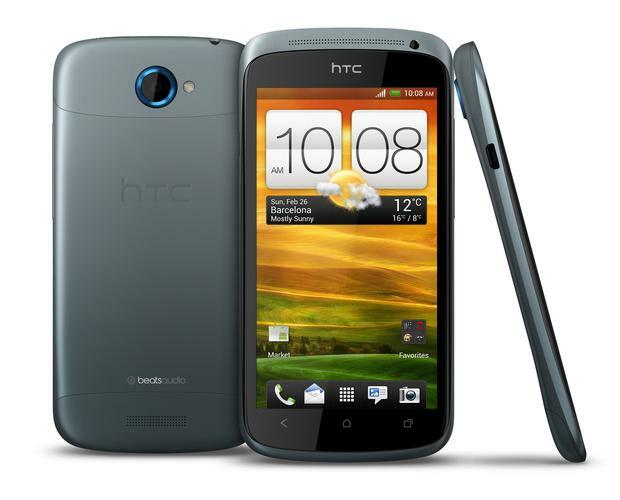 The Android 4.0-powered HTC One S arrives in the US on April 25, and so far reviews say this phone is the Android device to beat in 2012. Reviewers are going gaga over the phone's camera, battery life, responsiveness, design, and sound. However, not everyone is thrilled with the device's storage size or the usual bloatware that manufacturers and carriers love to add to new Android handsets. Here's a quick round-up of what the reviews are saying about the HTC One S.
One of the biggest downsides for the One S is the bloatware that T-Mobile and HTC thrust upon users. Some of it will most likely be welcome, such as Dropbox integration, but other things including T-Mobile Mall and T-Mobile TV may not be welcome. Engadget said most of these apps cannot be uninstalled, but Mies said you could at least disable most of these annoying add-ons. HTC doesn't appear to be willing to give up its user interface overlay known as Sense, but the consensus appears to be that Sense 4 is not as annoying as its predecessors. "Gone is much of the fancy eye candy, such as the perpetually spinning carousel of home screens," CNET said. GigaOm called Sense 4 "refined and intuitive, making it easy to figure out most of the phone’s functions." "Sense 4.0 is much subtler than previous versions of the interface. The company has cleared out a lot of unnecessary icons and text that cluttered older versions of Sense," Mies said. Perhaps the biggest disappointment for reviewers was the fact that HTC decided to go the "iPhone route" with the One S by sealing the battery and deciding against an expansion slot. Most critics, however, found the battery life to be great. "I am able to get well over 24 hours of use out of the One S on a single charge," Epstein said. PCWorld has yet to complete a full set of battery life tests for the One S.
As for storage, you only get 16GB onboard with no option to expand that capacity with a microSD card. That is unusual for an Android phone, so critics are warning prospective One S users to consider this factor carefully before purchasing the device. On the upside, at least you won't suffer through those annoying warnings that your phone's onboard storage space is getting low as often as you do on SD-expandable phones. HTC's One S is a winner as far as the critics are concerned, but we'll have to wait until next Wednesday when the handset hits the streets to see how Android fans react to HTC's latest smartphone.